Abby’s life was right on track. She had finished school, established a career, and was in a long-term relationship with her college boyfriend, Ben, who had recently proposed. She was happily flitting about, choosing flowers, decorations, cake…While wearing the dress she has decided is “the one”, out shopping with her best friend, her worst nightmare ensues. Her fiancé Ben has just announced on Facebook that he is single…Without letting Abby know they were breaking up…. The 30-year-old is going to have to start fresh, and do some serious thinking. After months of feeling sorry for herself and eating ice cream alone, Abby is going to spend the summer at a beach house, dragged there by her best friend, who thinks the cure for Abby’s problems is cocktails and sun-tanned surfer dudes. But Abby isn’t quite so sure she’s ready to be on the market again…And her misadventures as she figures out what she really wants will make readers chuckle aloud and shake heads in disbelief…In a world where you can get dumped on Facebook, how is one supposed to get a good boyfriend? 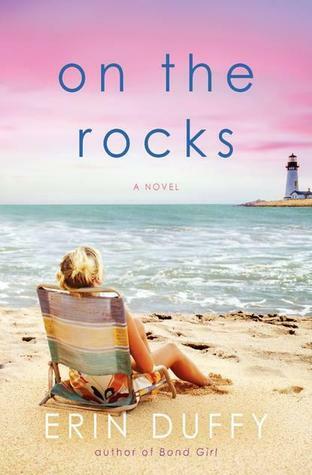 On the Rocks, by Erin Duffy, is a great beach read, especially for someone who has recently been through a breakup. If you’re looking for something fun to read on your long weekend, reading by the pool or feeling a coastal breeze, this a is a great ChickLit novel that won’t disappoint.